Jasmine Marcks was a teenager when she discovered her father was a killer. First, there was the strip of bloody duct tape; then, the bloodstain on his shirt; and finally, the long nights away from home that always coincided with gruesome deaths. 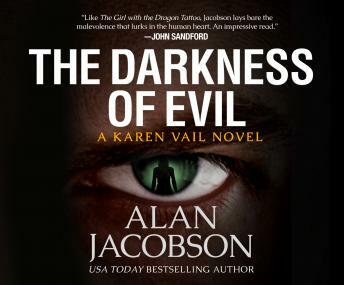 Roscoe Lee Marcks killed fourteen people before he was finally put behind bars-but, as renowned FBI agent Karen Vail soon learns, Marcks's reign of terror isn't over yet. After writing a book about growing up as the child of a serial killer, Jasmine receives a letter-a single sheet of paper mailed from the maximum-security prison Marcks now calls home. The page hides a threatening message from a father who wants vengeance against the daughter who turned him into the police. So when Marcks breaks out of prison, Agent Vail calls in a legendary retired profiler to help her find the escaped convict-and keep him from making Jasmine his fifteenth victim.